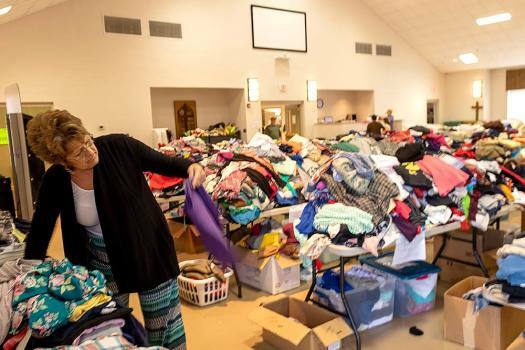 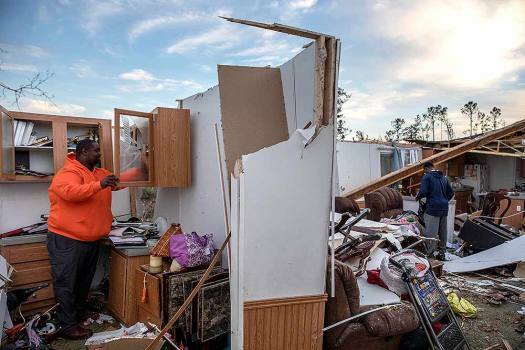 Granadas Baker, left, and son Granadas Jr. 18, right, retrieve personal items from the damaged home where they survived a tornado a day earlier in Beauregard, Alabama. 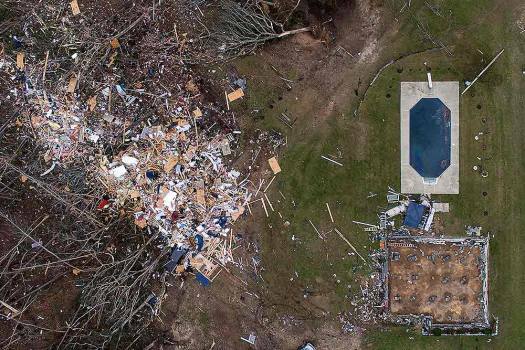 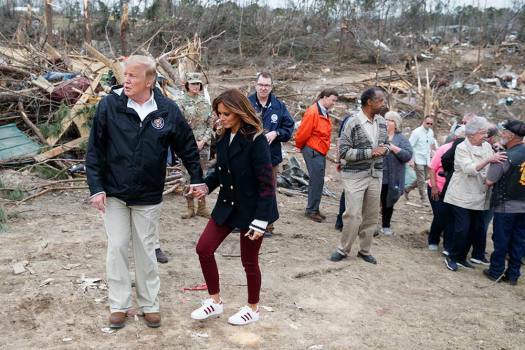 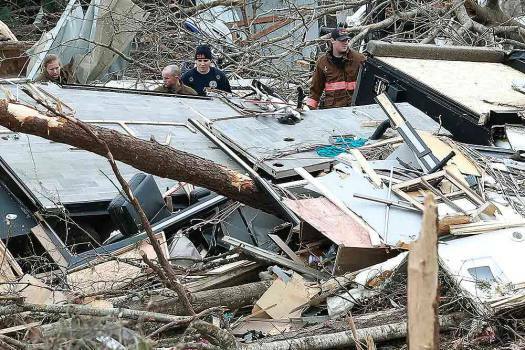 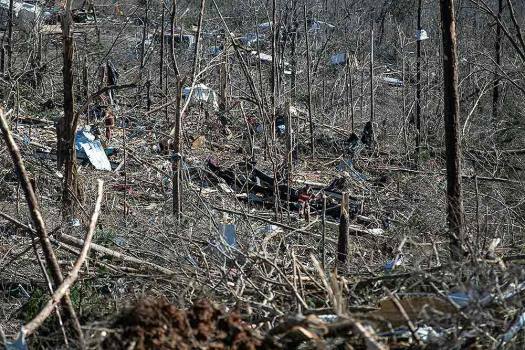 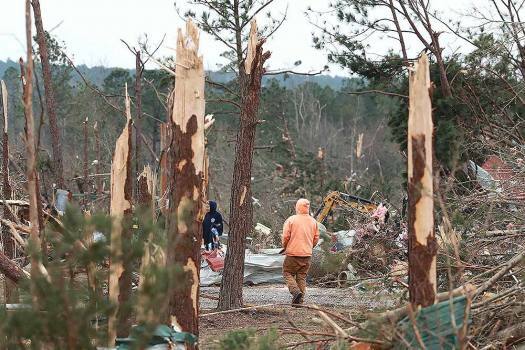 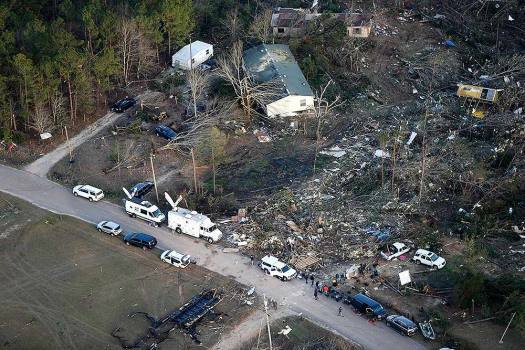 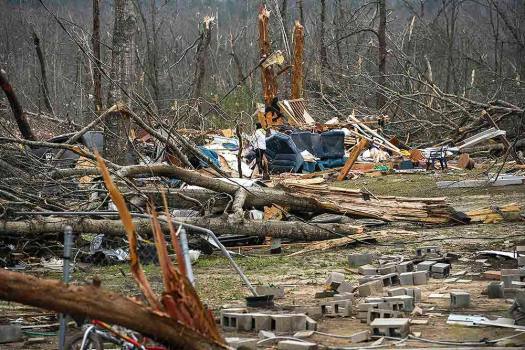 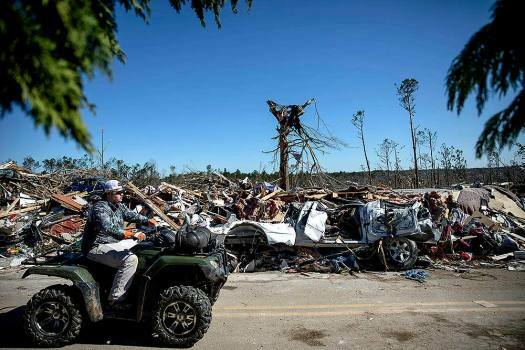 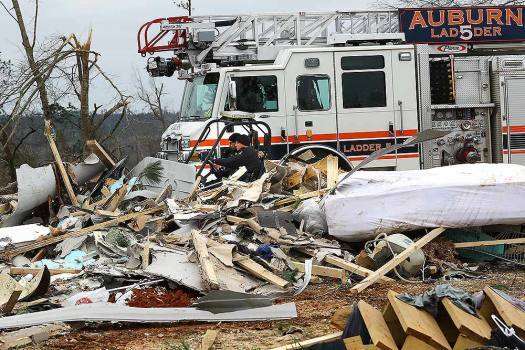 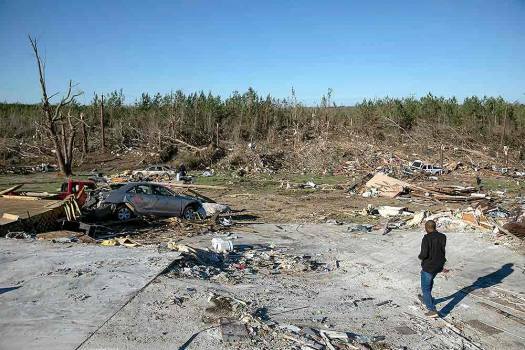 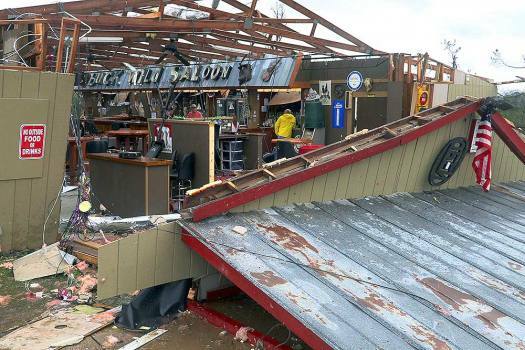 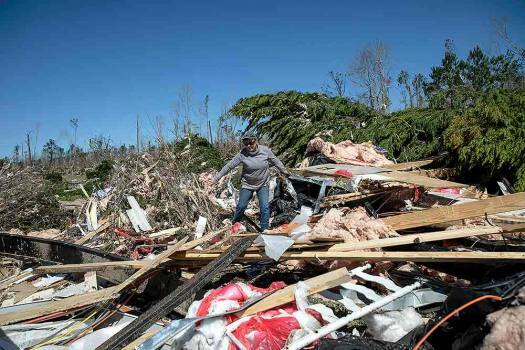 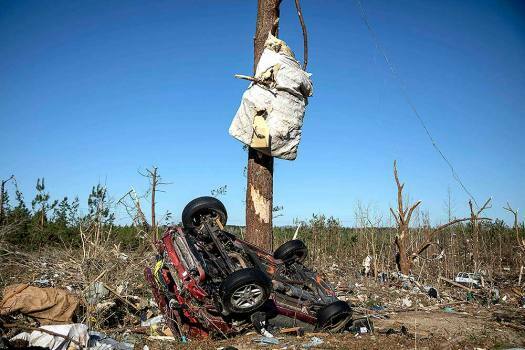 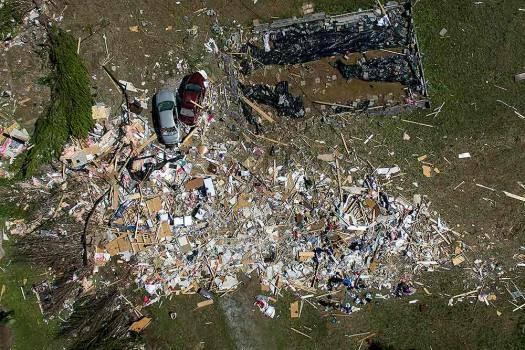 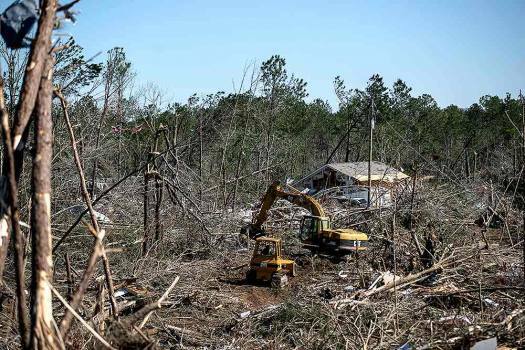 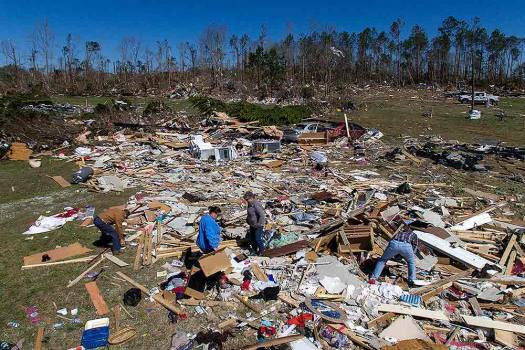 Destruction is seen from tornadoes that came through last night, killing multiple people, in Lee County, Alabama. 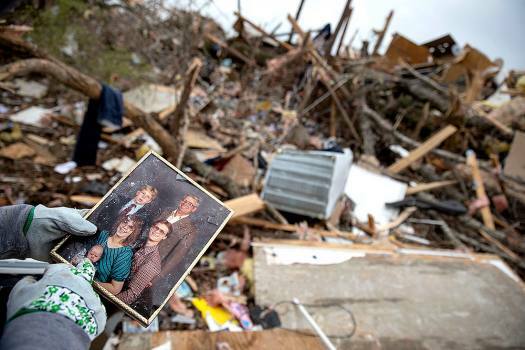 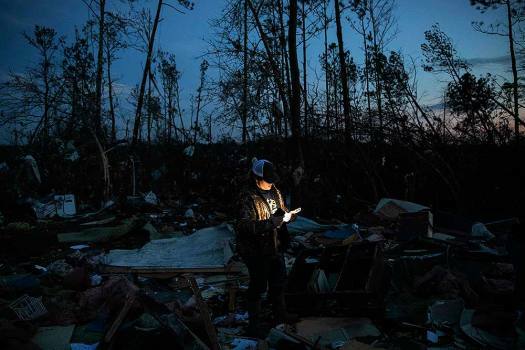 Matthew Schell looks for personal mementos by flashlight at dusk in the rubble of the house destroyed by a tornado which killed his uncle, David Wayne Dean, in Beauregard, Alabama.